This spectacular character event is being presented by Fairytale Entertainment. Coming off our huge success with our Fairytale Princess Ball at Meadow Brook Hall in Rochester Hills, we have set our sights on our next magical princess event jammed pack with other popular fairytale characters. 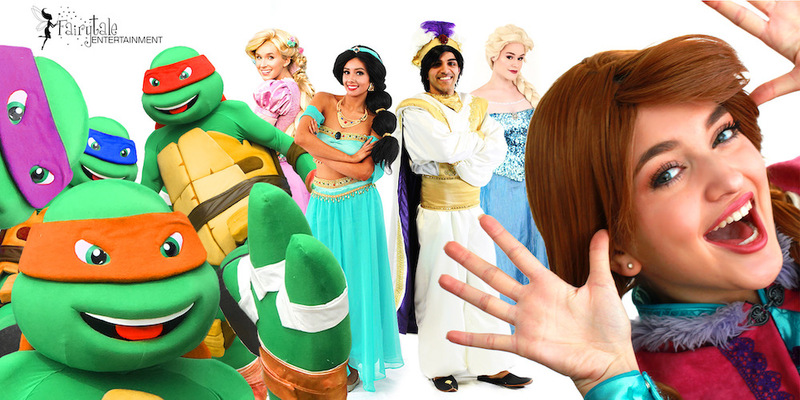 We will be featuring an even larger cast of popular prince and princesses, superheroes and other popular characters every child will love to visit. Approximately 20 of the highest quality characters which we will be sharing with you as the event approaches. You can trust, with Fairytale Entertainment involved, you will not be disappointed. With the release of the Aladdin motion picture, our Arabian Prince and Princess will be our featured hosts for this grand event. The story of a street dweller who overcomes the challenges of life to find a path that leads him to “One Jump Ahead” resulting in a magical carpet ride with a beautiful princess. With all their fairytale friends, this event will be filled with wonder. You will experience memorable performances, interactive games, photo visits with our characters, balloons, face painting, food, concessions and other fun activities for the whole family. We plan to pack this three hour event with a lot of fairytale magic.You will enjoy appearances by a large cast of characters including our Arabian Prince and Princess, Rapunzel, Flynn, Spanish Princess, First Princess, Snow White, Frog Princess, British Nanny, all four playful turtle ninjas, our new galactic ranger and toy cowboy, and our popular Snow Queen and Princess Ann. A cast of characters the whole family will enjoy! What makes this event unique is the introduction of the new Fairytale Foundation. Every week we hear from individuals seeking a fairytale visit to assist those struggling with difficult life situations, some of which include young children facing the last moments of their precious lives. We have determined to make a greater, more concentrated effort to make a difference in the communities around us. The Fairytale Foundation will help us reach more of those in need by raising awareness and funds to reach more children missing some of those magical memories many take for granted. By joining us for this spectacular event, you’re helping us make a difference for thousands of children throughout Michigan and Illinois. All proceeds from this event will go directly into this 501c3 non-profit Foundation. This will be an amazing opportunity for your family to enjoy an enchanted and magical event filled with unforgettable experiences while contributing to a great mission to fill our community with love. The Fairytale Foundation desires to be the STAR children wish upon. Our purpose is to provide children facing life altering circumstances, such as serious illness, disability, or displacement from their families, the opportunity for their dream to become a reality. Our Mission: The Fairytale Foundation will grant wishes for children who need encouragement as they face obstacles in their young lives. Wishes will be granted through providing opportunities that allow children to dream, while celebrating childhood moments. Our hope is that these moments will be a source of strength, a glimpse of joy, and feeling of being valued when facing the obstacles that are before them. Fairytale Entertainment is partnering with The Fairytale Foundation to provide an experience where the magic begins for those in need. The goal of the event is to provide that One Jump Ahead that will ensure resources are available to grant these magical moments to thousands of beautiful children. This may be a hospital or home visit, the fulfillment of a need, or even a special event invitation. The Fairytale Foundation is honored to come alongside the families and children to provide these moments that will forever be treasured. Be sure to check out our huge live superhero show in Troy, MI on July 27th. A must see for every superhero fan. Also follow our Facebook page to stay in touch with all the events we have coming for 2019. Tickets can be purchased now by following this link. Please feel free to contact us if you have questions.